"Great service at an affordable cost! Dr. E and his team are fantastic." "I have no complaints. Everyone is nice, friendly, and attentive in your office." "I would rate them 10 stars if I could. You will love this dentist and his staff!!" "I would highly recommend Dr. E to everyone. I know I will never go anywhere else." "Dr. E. and his staff are the best. He is very nice, friendly, and he is very precise." Akbar Ebrahimian, DDS — also known as Dr. E — is a general and cosmetic dentist practicing out of Sugar Land, Texas, at Premier Dental. Dr. Ebrahimian earned his Doctor of Dental Surgery degree from the University of Texas Health Science Center at Houston. He has extensive accreditation in general and cosmetic dentistry, and he participates in continuing education, learning the newest and best ways to help his patients improve their smiles and oral health. In addition to learning, Dr. Ebrahimian enjoys teaching. For several years Dr. Ebrahimian taught as an assistant professor in the Department of General Dentistry at the University of Texas School of Dentistry. Dr. Ebrahimian is a member of the American Dental Association, the Texas Dental Association, and the Greater Houston Dental Society. As a member of the Greater Houston Dental Society, he has served in most committees such as the New Dentist committee, Peer Review committee, and Judicial committee, and also as an alternate to the House of Delegates. Because Dr. Ebrahimian is such a respected member of the dental field, other dental colleagues choose him as their personal dentist. Some of his patients travel far distances to continue being treated by him because of their loyalty to him and his dedication to total and skillful care. 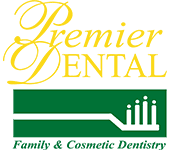 To schedule your appointment with Dr. Ebrahimian, call Premier Dental in Sugar Land, Texas, or book your appointment online today. Philips Zoom! First steps to a healthier and more youthful looking smile. If you don’t see your provider listed or you have any questions on your coverage for treatment, give us a call today at 281-277-8787. Premier Dental is in-network with most major dental insurance companies. We will also be happy to help you submit your insurance claim. We also accept all major credit cards, checks and cash payments. We offer a 10% discount incentive for all cash payments paid in full before the treatment. All senior citizens will receive a 10% discount on all dental procedures. Please reach out to the practice for more information about your specific insurance.